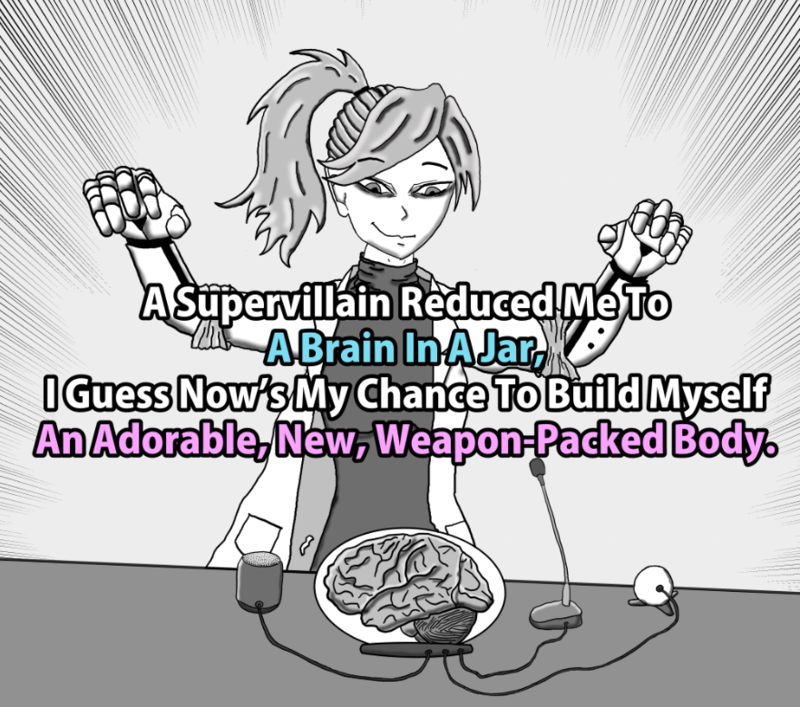 "A Supervillain Reduced Me To A Brain In A Jar, I Guess Now’s My Chance To Build Myself An Adorable, New, Weapon-Packed Body." A superhero origin story of self discovery, rebirth, heroism, gender exploration and queer romance all packed into a light novel. 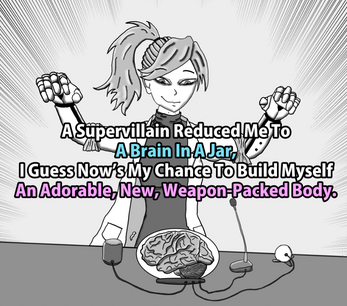 Content note: Body horror, brain in a jar, ethics of research using donor brains (part 1), Supervillain terrorism (part 1), Superhero violence (part 1 and 6), panic attack, depictions of gender dysphoria and gender repression, high tech guns and weapons, conflict.